للمسافرين الذين يرغبون أن يعيشوا كل ما تقدمه المدينة، Golden Sands Apartments هو الخيار الأمثل. يمكن من هنا للضيوف الاستمتاع بسهولة الوصول إلى كل ما تقدمه هذه المدينة النابضة بالحياة. يقع هذا الفندق الحديث على مسافة قريبة من المعالم السياحية الشهيرة. يعرف Dreamtime Resorts بالمستوى الراقي لخدماته ولباقة موظفيه، وهذا ما ستجده في Golden Sands Apartments. تتضمن الميزات الرئيسية في هذا الفندق: تسجيل وصول/خروج سريع, صف السيارات, غرفة عائلية, مرافق للشواء, جولات. تنعكس أجواء Golden Sands Apartments في غرف الضيوف.غرف لغير المدخنين, مكيف هواء, مكتب, شرفة/ تراس, تليفون هي بعض الميزات الموجود في العديد من الغرف. كما أن مجموعة الخدمات الواسعة الموجودة في الفندق لضمان راحتك تترك لك الكثير من الخيارات لقضاء وقتك أثناء فترة إقامتك. اكتشف مزيجاً ساحراً من الخدمة الاحترافية والخيارات الواسعة من وسائل الراحة والمتعة في Golden Sands Apartments. النزلاء الذين سيصلون خارج ساعات تسجيل الوصول المذكورة يطلب منهم التواصل مع العقار مباشرة قبل الوصول لترتيب هذا الأمر. nice view n very close to beach kids love it. No room service. We should clean up the room on our own. 15 x 20 swimming pool. Excellent beach. 15 x 20 gym. In feet counting. I have traveled all over the world and this by far was the best place I have ever stayed in. 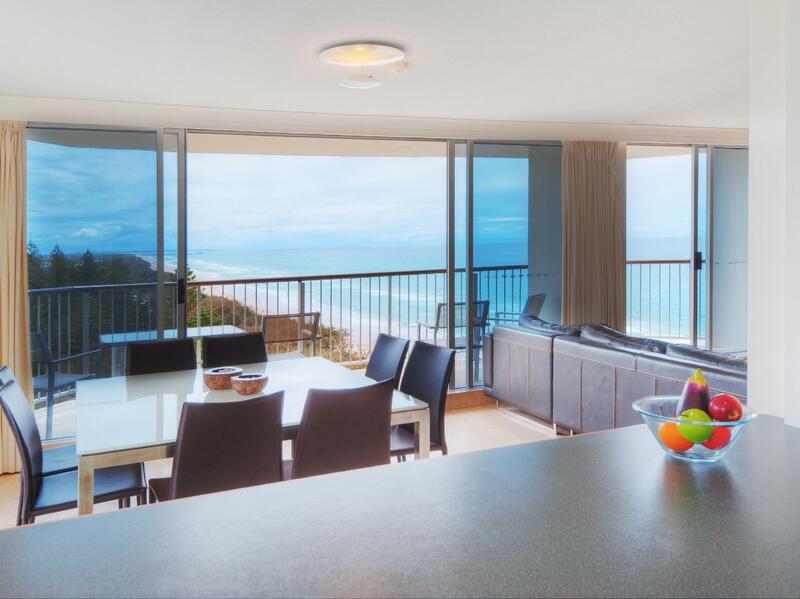 The view is something you could only ever experience in this apartment. I cannot think of any place in the world where you can sleep so close to the ocean. At night my head was literally 30 metres from the water and the sound of crashing waves and the fresh salty sea air gave me the best night's sleep of my life. Thank you so much to Barbara and Ernest for being amazing hosts. Barbara recommended room 701 and it was breathtaking. The photos do not do it justice. Trust me STAY HERE! At just $170 a night it is an absolute bargain. The area is quiet, there is a 7/11 about 100metres away (great for coffee) and a Subway. But the true star is the view, just incredible. The apartment is spacious, the building has a pool and tennis court. Ask for room 701 if you can get it, facing the ocean. 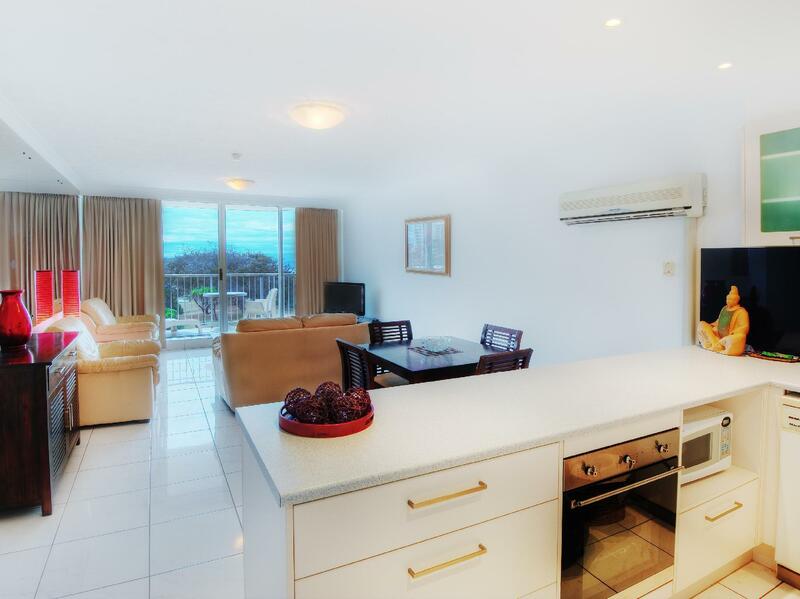 Clean appartments, gently aged with amazing beach front views. 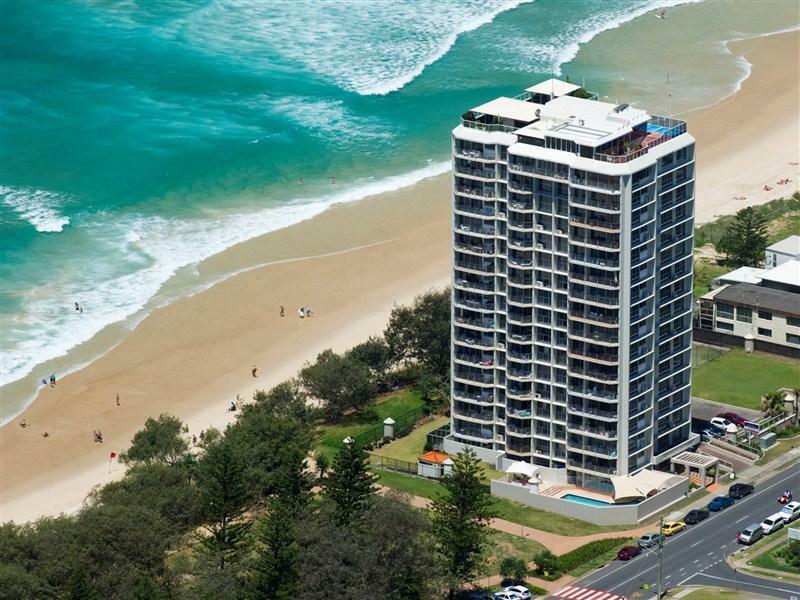 Close to the Surfers paradise. Have access to the beach as well. Great stay for 3 nights business. Location and view outstanding. For 4 start apartments it should provide wifi. They should provide more to bath towers. Location , cleanliness and best view ever ! 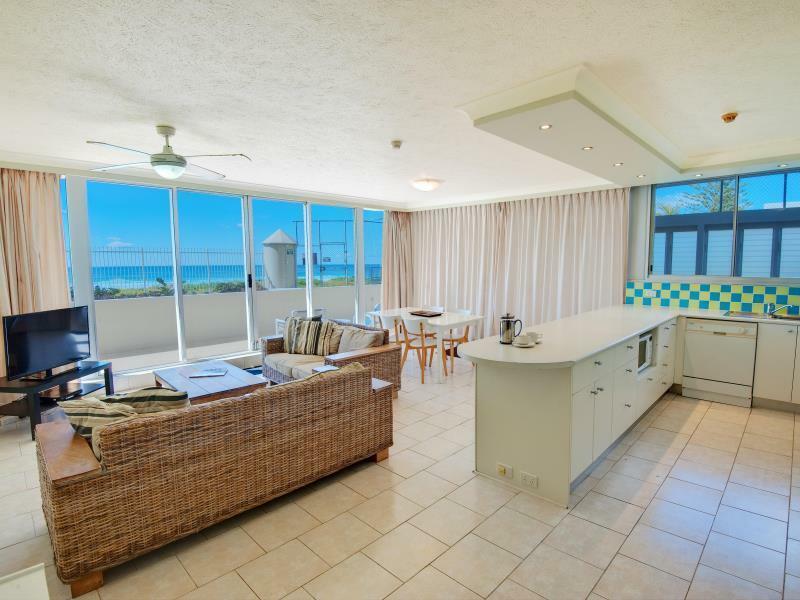 Great location right on main beach,easy five minutes walk to the shops,supermarket and restaurants. Will definitely be staying at this place again. 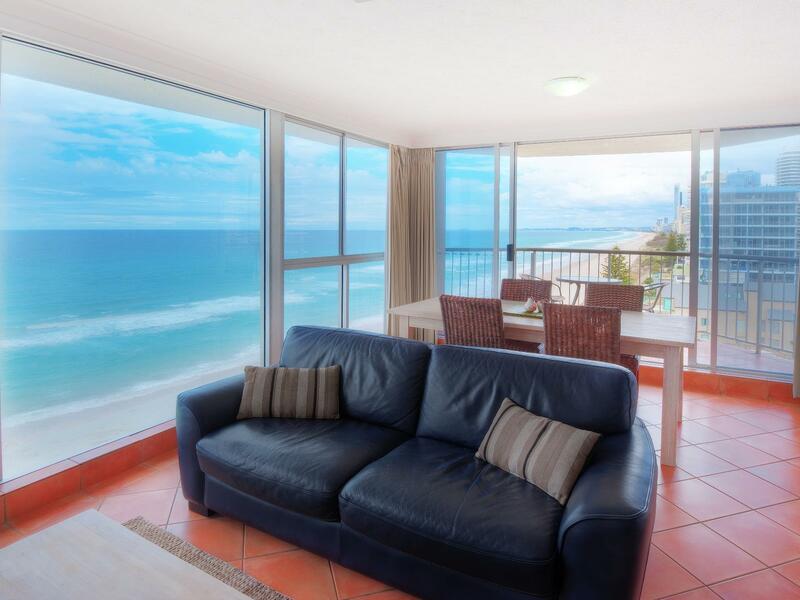 fantastic located apartment right on the beach. It had tennis courts and a heated pool and gym. The beds are very soft and pillows not that comfy, but otherwise the stay couldn't have been any nicer. The staff were very facilitating. just walk out of the condo & you are on the best beach in the world.near restaurants & shops.near entertainment of surfers paradise. very relaxing,I spent most of the day on the beach. 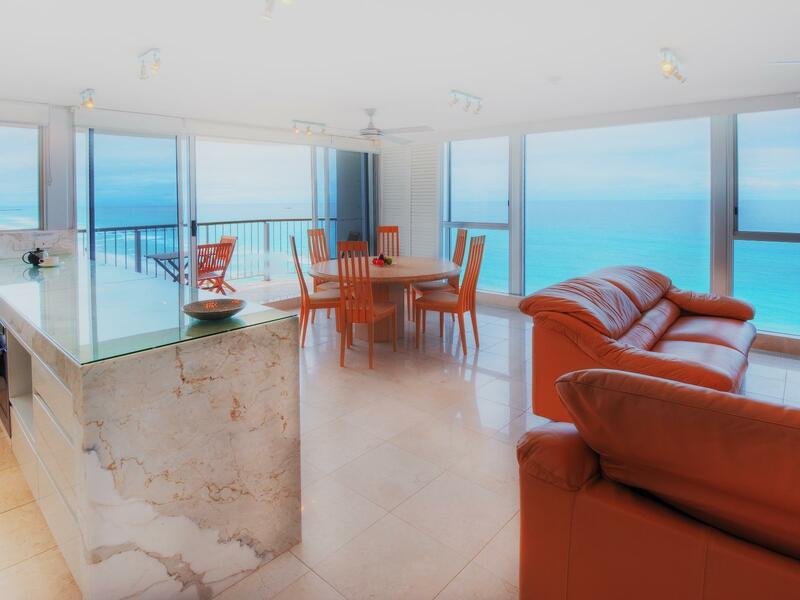 Great stay!the apartments are on the beach with amazing ocean views. Apartments are self catering. As 2 couples they could accommodate 2 large beds in a 2 bedroom apartment which was awesome. All in all a great stay in the GC.